Thanks for sharing this offer! I want a coupon I love TIDE!!! Would love a coupon for tide!! Tide is off the chain good, works great in cold water. Tide is the best. I grew up on it and my children also grew up with it. They are using it now in their homes. Tide is awesome,, I want a coupon..! I love Tide. It does an awesome job on my clothes! I love Tide!! Roll TIDE!! I want a Tide coupon. It’s all I use. 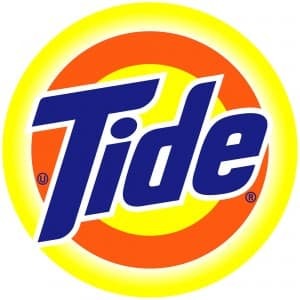 tide does the trick for me it gets my clothes the whitest & brightest and always smell OH SO GOOD! A saving is a great thing. Tide, when you want it clean the first time! I’d like to try Tide x6. I love Tide is best! Tide plus bleach is awesome! I love Tide, especially with a serious coupon! Love this product, wouldn’t use anything else. I live tide free… and the wash machine cleaner. I tried the dryer bar and do not care for it but I LOVE Tide detergent!